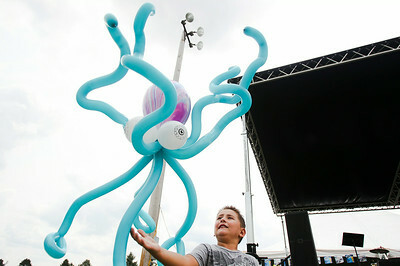 Sarah Nader- snader@shawmedia.com George Kondos, 5, of Woodstock plays with his balloon octopus while attending the first annual Summer in the Park festival at Emricson Park in Woodstock Sunday, July 20, 2014. The event featured kids games, bounce houses, a food court, beer garden, bags tournament, bingo, music and ended with an outdoor movie. 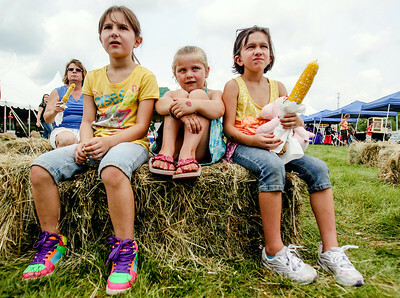 Sarah Nader- snader@shawmedia.com Jewel Noble (left), 8, of Woodstock, Emmalei Standish, 5, of Marengo and Paige Noble, 9, of Woodstock watch RC Juggles perform while attending the first annual Summer in the Park festival at Emricson Park in Woodstock Sunday, July 20, 2014. The event featured kids games, bounce houses, a food court, beer garden, bags tournament, bingo, music and ended with an outdoor movie. 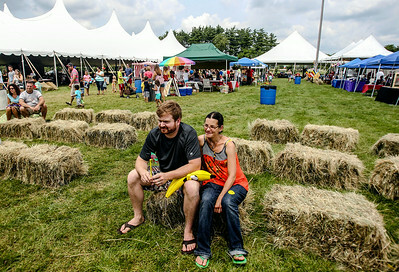 Sarah Nader- snader@shawmedia.com Dave Craham (left) of Woodstock and his wife, Nicki, watch RC Juggles perform while attending the first annual Summer in the Park festival at Emricson Park in Woodstock Sunday, July 20, 2014. The event featured kids games, bounce houses, a food court, beer garden, bags tournament, bingo, music and ended with an outdoor movie. 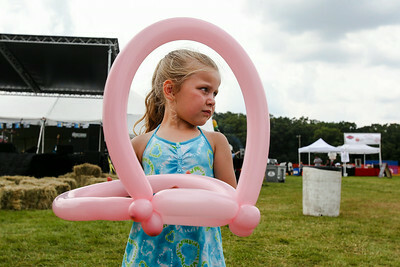 Sarah Nader- snader@shawmedia.com Emmalei Standish, 5, of Marengo waits for her butterfly ballon to be made while attending the first annual Summer in the Park festival at Emricson Park in Woodstock Sunday, July 20, 2014. The event featured kids games, bounce houses, a food court, beer garden, bags tournament, bingo, music and ended with an outdoor movie. 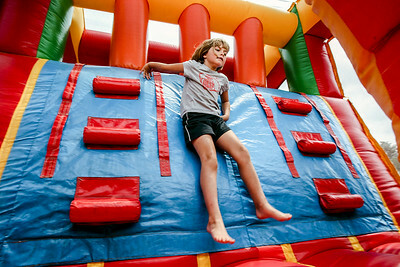 Sarah Nader- snader@shawmedia.com Rosella Wand, 7, of Woodstock plays in a bounce house while attending the first annual Summer in the Park festival at Emricson Park in Woodstock Sunday, July 20, 2014. The event featured kids games, bounce houses, a food court, beer garden, bags tournament, bingo, music and ended with an outdoor movie.